New Jersey native Zak Smith is a character. There’s not much else you can say that would describe him. And trying to describe his music is even more of a challenge. Zak recently released his newest album, The Precambrian Age earlier this year. The album is being hailed as a unique mix alt rock and americana. It’s got that down to earth feel, but boy does it get you up on your feet at the same time. At the CMJ Music Marathon this year, Zack played The Electric Bowery in NYC for his album release party and his first official showcase at CMJ. In addition, he was also been named Best Male Vocalist at the 2013 Jersey Acoustic Music Awards, and also saw one of his albums be named #20 on a list of the Top 100 New Jersey Albums. 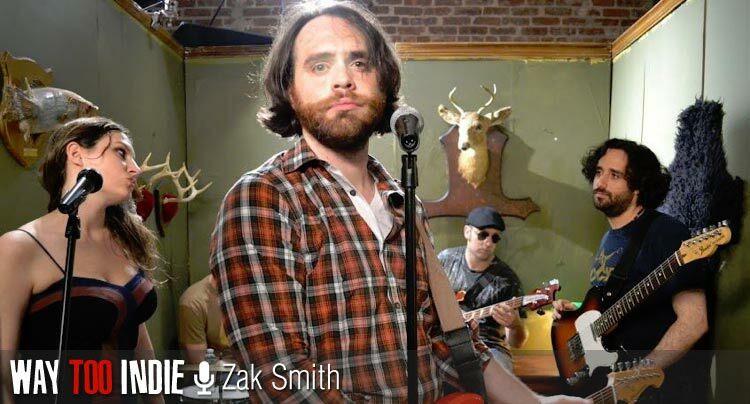 We had the chance to sit and talk with Zak about his music, check out the hangout below.